"An exhilarating spy novel that offers equal amounts of ingenuity and intrigue." 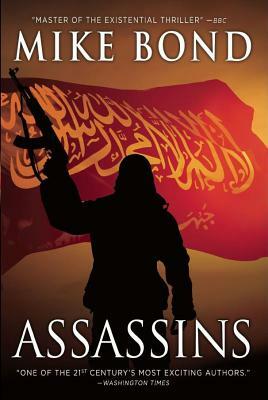 -- KIRKUS From its terrifying start in the night skies of Afghanistan to its stunning end in the Paris terrorist attacks, Assassins is a novel of the last 30 years of war between Islam and the West. Based on the author's experiences in the Middle East and elsewhere, Assassins reveals this unending conflict through the lives of an American commando, a French woman doctor, an Afghani terrorist, a Russian major, a British woman journalist, and a top CIA operative. Drop by parachute into the deadly mountains of Afghanistan, fight door to door in the bloody cities of Iraq and the lethal deserts of Syria, the Sinai and North Africa, know the terror of battle inside a Russian tank, feel the power of love when at any instant you both can die - it's all there, all real, in Assassins. Did the Saudi government finance 9/11? Did GW Bush let Osama bin Laden escape Afghanistan and then lie about Weapons of Mass Destruction in Iraq? Did Obama's decision to leave Iraq in 2011 lead to the rise of ISIS and its worldwide fanaticism? It's all there, all real, in Assassins. Multiple thrillers and love stories, a dissection of our present geopolitical tragedies and a meditation on the deepest duties of a military man toward those he commands, those he loves, and the nation he serves, it's all there, all real, in Assassins.